In my attempt to complete this web site, I will be adding new material in the months ahead. Today I have posted the PURGATORY page. 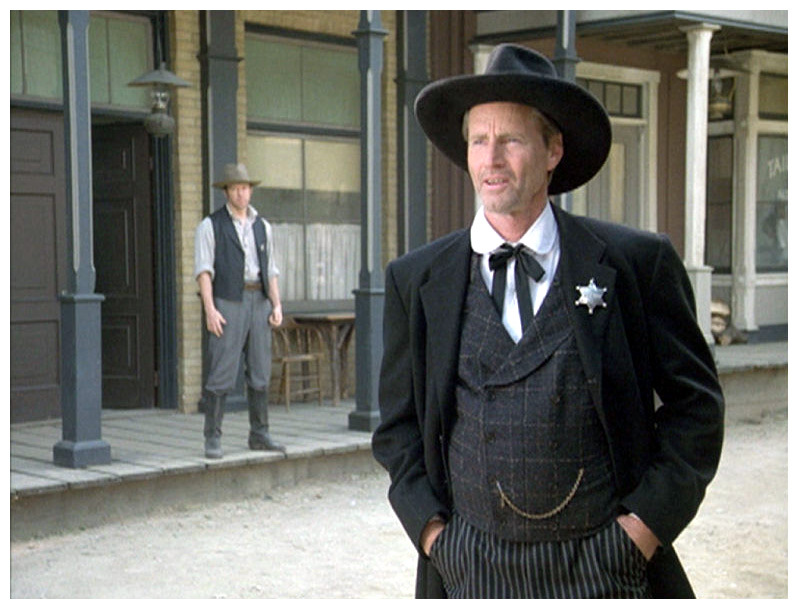 This fantasy western with its "Twilight Zone" vibes, aired on TNT in January 1999. 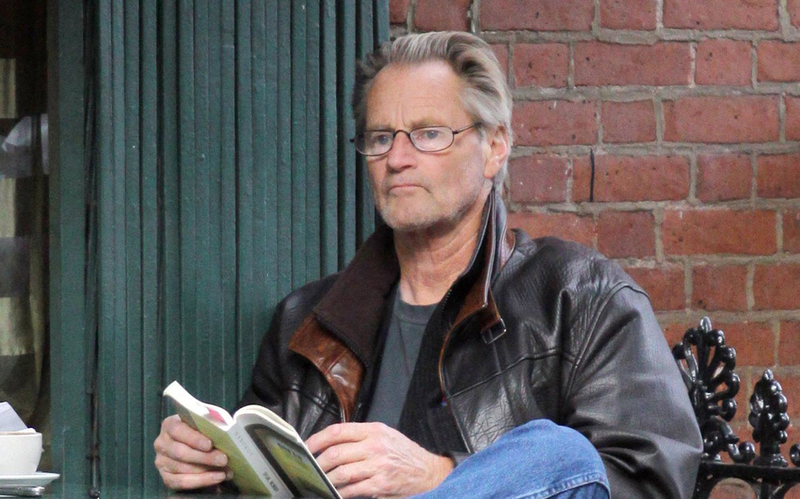 Anita Gates of the NY Times writes, "Very few men can stand quietly in the middle of an empty street with the authority and the tough, soft-spoken sexiness of Sam Shepard." I'll second that! 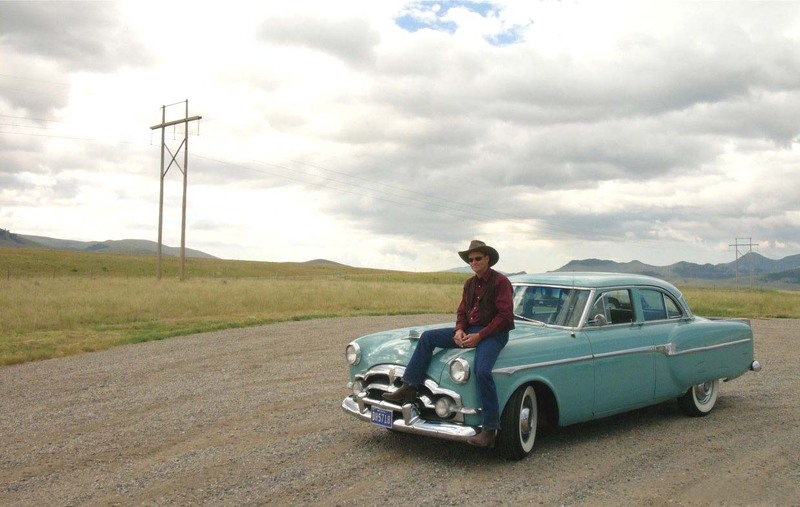 When Sam was asked why he chose to do the film, he responded, "It felt like a traditional western even though it had this odd twist to it, and that it was being directed by a German fascinated me. Europeans seem to have some way or another a more objective take on westerns. I was fascinated about what a German would do with the material. It might have a kind of starkness and a non-sentimentality about it. 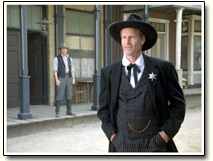 Forrest also seemed like a great character reminiscent of 'High Noon' and those traditional western heroes." And how did filming go? He replied, "I had never done a western on the back lot in Hollywood. It was at Warner Bros. in Burbank on the old 'Maverick' sets. You have to stop shooting there when there are helicopters flying over. It was totally crazy. The camera can't go high or it will catch the telephone wires and the condominiums. It was actually like purgatory shooting the thing." 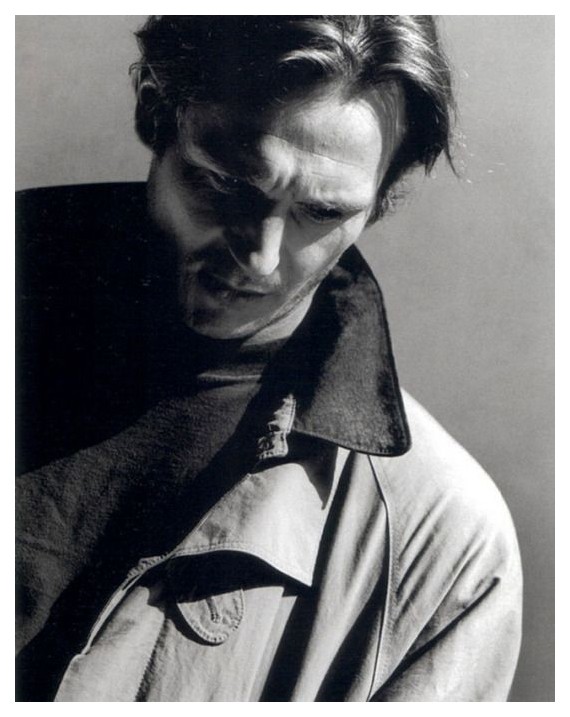 Through the years, there were two Westerns that Sam ultimately regretted turning down - "Lonesome Dove" and "Unforgiven". With "Lonesome Dove", it was an extremely long shoot, some six months and he didn't want to commit to that because of his children. And with "Unforgiven", he explained, "I do this thing sometimes where I just read the first two pages of a script. It had that horrendous female assault where the woman gets cut up. I picked it up and threw it away thinking, 'I don't want to do this. Good Lord, this is outrageous.' So I just threw it away. Oh, well." As to why there still remains a mystique about the "Wild West", Sam's response was - "I think you have to make the balance between the actuality and the romance of it, but still, I think, what's fascinating about it is that it still offers some kind of mystery. The promise about it is still unfulfilled and probably never will be fulfilled, so I think that's what magnetizes a lot of people's imagination. There is this huge vast, still, vast tract of land that hardly anybody ever walks on. 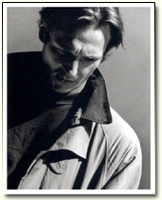 In the fall of 2014 Sam's last play "A Particle of Dread" was about to get its US premiere at NY's Signature Theatre. This is a new photo of Sam attending one of the production rehearsals. Here are some new movie stills of Sam from his last film, "In Dubious Battle". Another of Sam's books has undergone a translation. "The One Inside", originally published in February 2017, was released in Italy by publisher La nave di Teseo on May 24, 2018. 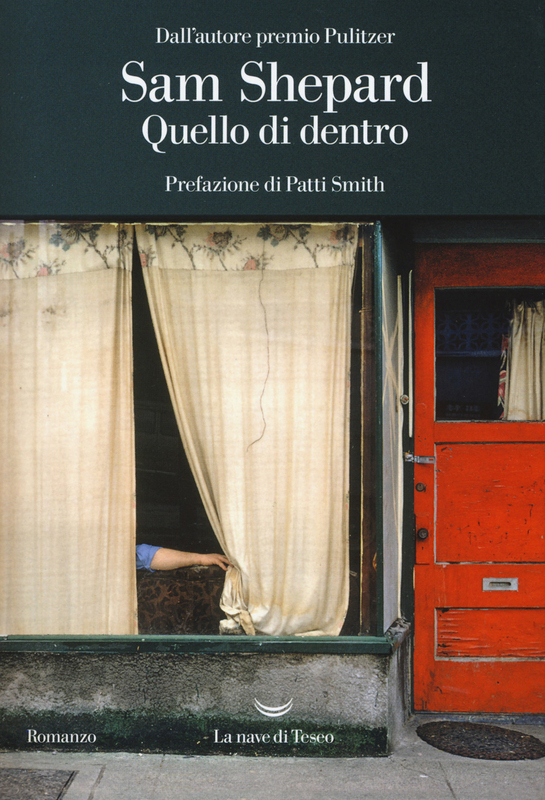 Its Italian title is "Quello di dentro". Choosing Canadian street photographer Fred Herzog was certainly an odd choice. The cover photo is called "Curtains". The artwork appears to have no connection to the stories whereas the original one at least conveys the strangeness and bleakness of the landscape that Sam inhabits in his writing. 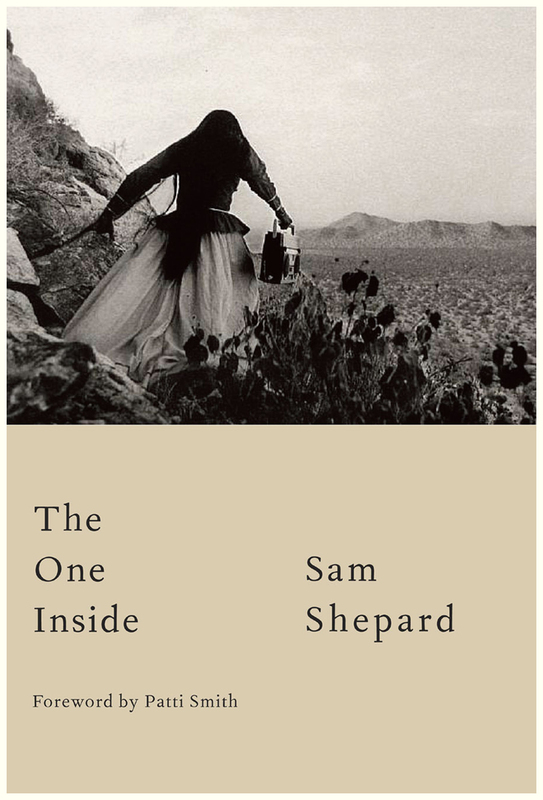 The publisher writes, "In this splendid novel by Sam Shepard, the rhythms of the theater, the language of poetry and the subtle irony of the narrative are intertwined in a story about life: festive, surreal, moving, unforgettable. This photo was taken by the paparazzi while Sam was in NYC during his later years. He's reading Vladimir Nabokov's autobiography "Speak, Memory". Yeah, what else? The Telegraph lists "Days of Heaven" as one of the 100 best films on Netflix UK. Their description: "Terrence Malick's second, and for many, greatest film is a mesmerisingly gorgeous love triangle set in the Texas Panhandle in 1916, loosely based on an Old Testament parable. Richard Gere and Brooke Adams are the lovers who pose as brother and sister to fool a rich, dying farmer, played by Sam Shepard. Nestor Almendros' astounding magic-hour photography right won an Oscar, and Linda Manz supplies heartbreaking, plainspoken narration as Gere's younger sister." I've been on holiday in the past month. Thus, the lack of updates. 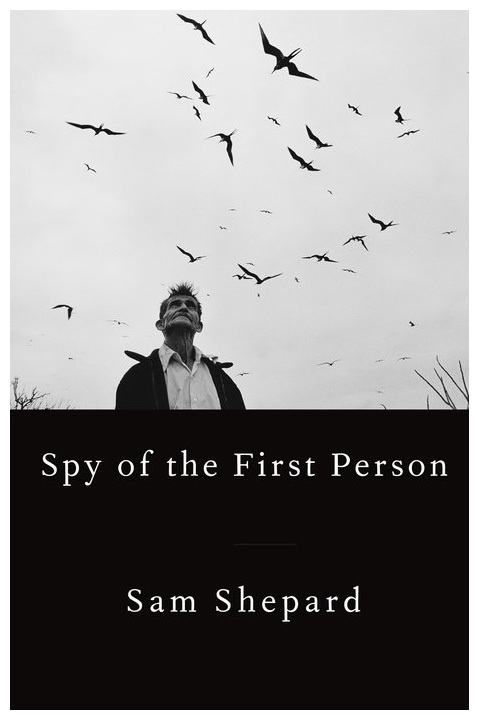 A couple weeks ago Nobelman Publishing of The Netherlands published a Dutch translation of Sam's "Spy of the First Person". Having bought the rights from A. Knopff, they opted to choose another book cover, not quite as bleak as the original one. 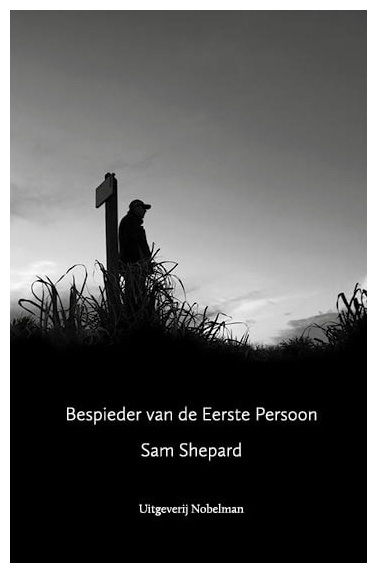 The publishing company hopes to also do a Dutch translation of "The One Inside" by the end of this year. 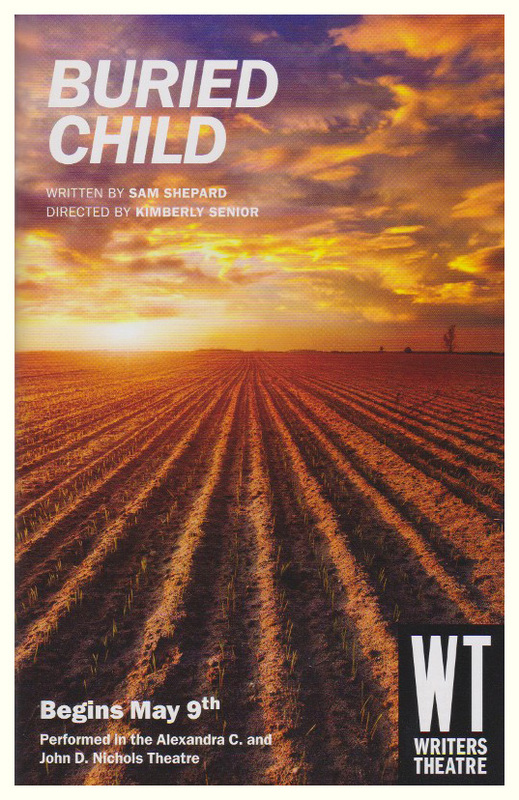 Chris Jones of the Chicago Tribune reviewed "Buried Child", now playing through June 17 at the Writers Theatre in Glencoe, IL. Jones writes, "We think of Shepard as a poet of the West, a bard of wide-open spaces, but he understood the Middle West better than any writer of his generation. Chicago had David Mamet; the rest of Illinois was charted by Shepard and it has not changed course." Here's a new youtube video of Sam talking about how he met Ellen Stewart of LaMaMa. Click on photo below to view it. 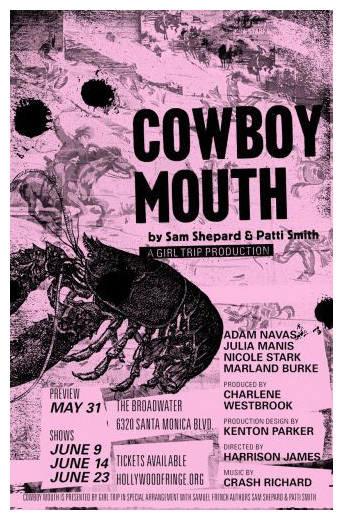 The Los Angeles production company Better Lemons, will be staging "Cowboy Mouth" this month. It will be performed three times at The Broadwater - Second Stage. The dates are: June 9, 14 and 23. Synopsis: "Set in 1979 Los Angeles when punk, rock and new wave collide, the play is the story of a woman who kidnaps a young man with a wife and kid off the street at gunpoint, with the hopes of inspiring him to be a rock and roll star. But the play has an underlying theme far more universal. "Cowboy Mouth" is about the importance of taking responsibility for our own creativity, falling in love with the person, not the potential." 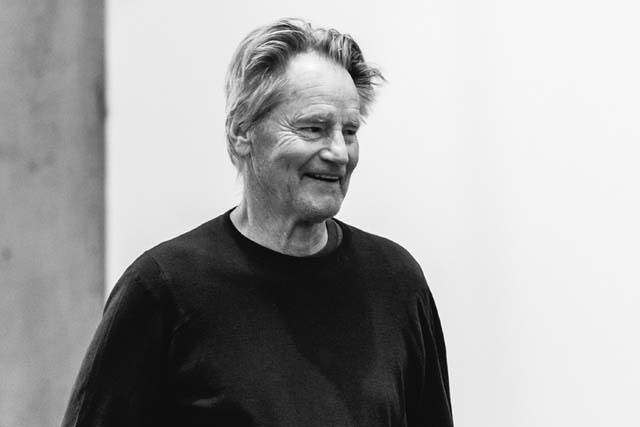 At the preview on May 31, after the curtain, the director read a letter from Patti Smith about Sam Shepherd’s final days. It was a perfect epilogue to the play. 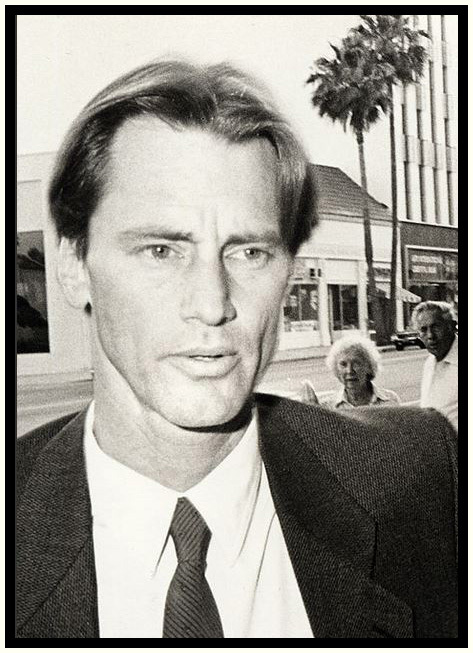 Looking back - May 9, 1984: Sam attending the LA premiere of "The Natural" at Samuel Goldwyn Theater in Beverly Hills. That man is a movie star! 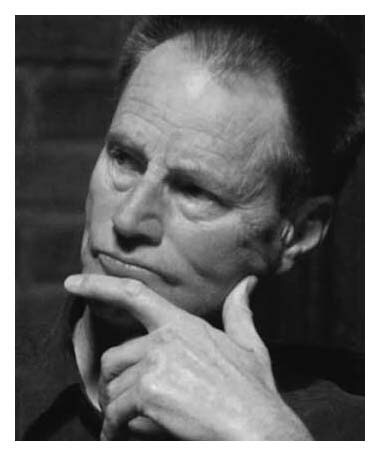 Shannon Blake Skelton an assistant professor at Kansas State University and author of "The Late Work of Sam Shepard", has contributed a chapter on Sam Shepard to the recently published collection, "Visions of Tragedy in Modern American Drama". In the collection, Skelton joins faculty from other universities in exploring the contours of tragedy within the spectrum of American theatre. According to the publisher Bloomsbury, "This volume responds to a renewed focus on tragedy in theatre and literary studies to explore conceptions of tragedy in the dramatic work of seventeen canonical American playwrights. 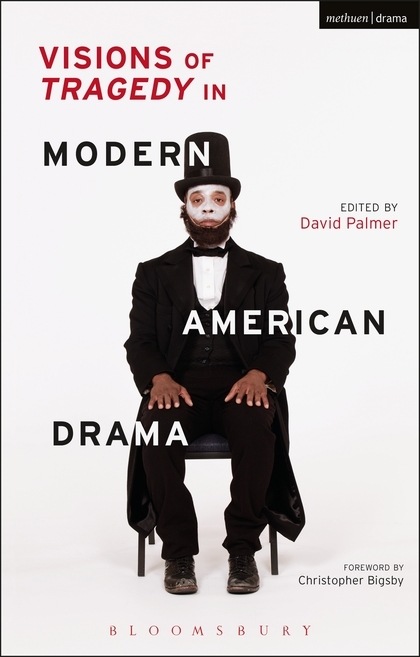 The chapters explore whether there is a distinctively American vision of tragedy developed in the major works of canonical American dramatists and how this may be seen to evolve over the course of the twentieth century through to the present day." When I first saw this photo many years ago, I refused to believe it was Sam. The photographer is Greg Gorman. I still see no resemblance to our playwright. If someone told me it was Alexander Skarsgård, I'd believe them.